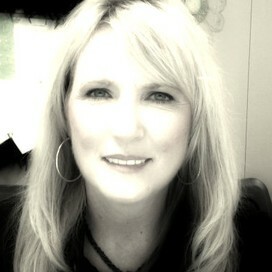 Go to www.stixy.com to create your teacher account. 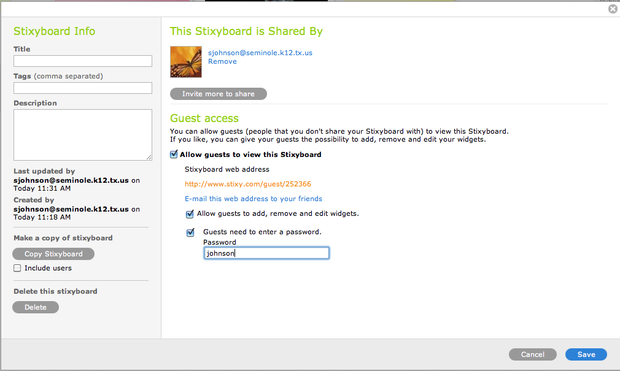 Students do not have to have an account as you can set permissions on your stixy board to allow guests. If this tool grows on you, making address groups within your gaggle account then copy/paste those addresses into an invitation to a stixy board is an option. After logging in to stixy, you will "create a new stixyboard." Widgets are located along the bottom of the page that allow addition of notes, photos, documents, and lists. These boards should be created on a computer. If the objective is a discussion type activity, the laptop works best. 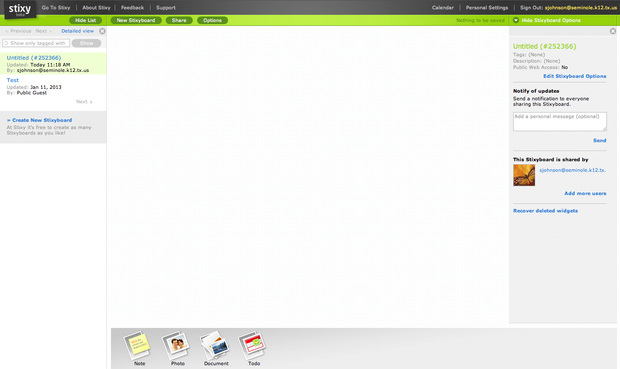 On the ipad, the user can view the board and download documents but cannot add to the board. To add content, click on the preferred widget at the bottom of the page and drag it onto your board. Also, when adding a widget, position it on the page then put a check mark in the box at the lower right side of the page to lock the widget. That way others cannot rearrange or delete the content. Students can do the same with their content. The owner of the board can move all content on the page as well as retrieve deleted material. There are two ways to share your board. 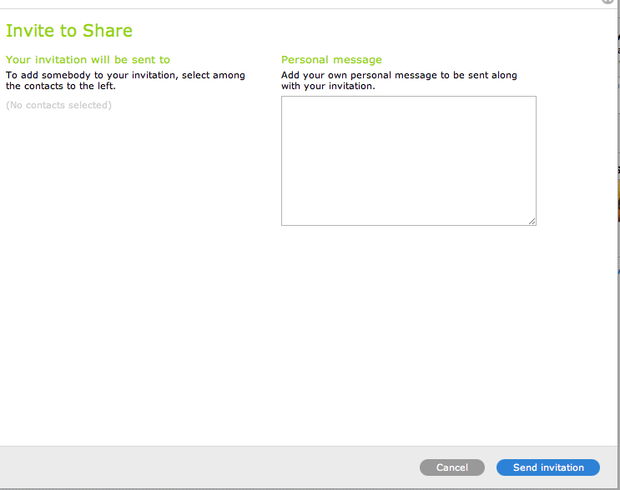 If you want to share by email address, click on the share button and copy/paste those addresses in. If you want to make your board public, click on options. From here put a check mark in the box to allow guests to view board, allow guests to edit board, and I would suggest that you put a password as well. Stixyboard would work as a great place to have discussions as well as a place to organize material for a specific project. With the ability to upload documents comes the flexibility for student retrieval - documents can be downloaded to computer or ipad. Remember, it is very important to lock content. If content is not locked, anyone can delete it. The teacher/owner can move and edit/delete all content.